I want to take this time to congratulate Cole, the newest Hair Science Barber School graduate! You’ve worked hard and never let any circumstance get in your way of completing your goal of finishing the program. I am proud of you, and can truly say it has been an honor to see your growth as a barber and as a person. 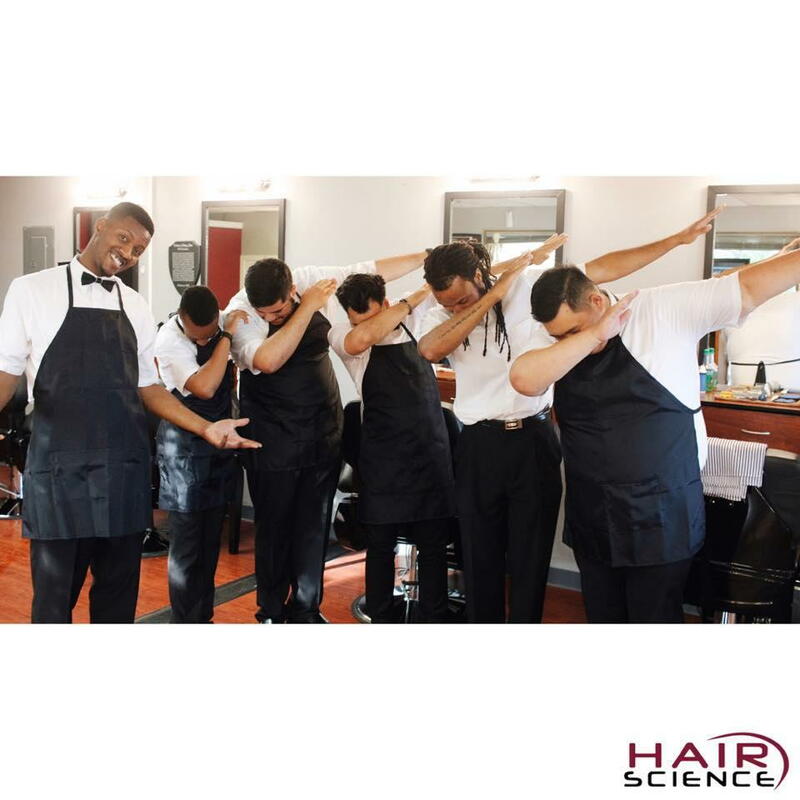 Cole will be available at Hair Science on Monday- Friday 10am-6pm. Appointments preferred, walk-ins welcome!! We’re still celebrating Cole’s graduation and the start of his professional career. Dab. Cole will be available at Hair Science on Monday- Friday 10am-6pm. Appointments preferred, walk-ins welcome! Team building is really important in work and learning environments. Meeting team goals involves being able to talk, listen, correct others, and receive criticism. Throwing in some jokes every now and then doesn’t hurt either. We should be working just as hard on team goals as we do on individual goals. Keep pushing! Found this one in the archives of the executive chef and sous chef on Mother’s Day. My nephew and I made this cake for the women of our family, and it’s definitely a memory that brought a smile to my face. Hair Science, where details are everything. Join us on August 14 at Valley of the Moon Park from 2-6 pm as we host our Customer Appreciation BBQ and distribute school supplies to local children.